Up a back street in Tamworth, you will find Poachers. Its discretely hidden away, opposite an Italian and a hairdressers. I chose this place as I hadn’t heard of it, even though its only a few miles from where I live. I was pleasantly surprised. 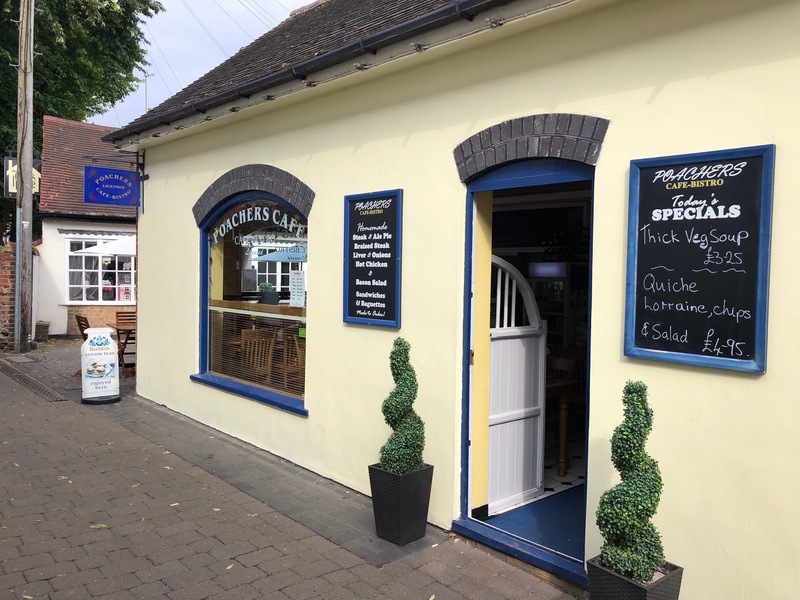 Its very small – but with some outside seating, and its very clean. The kitchen is open, so there is no hiding. 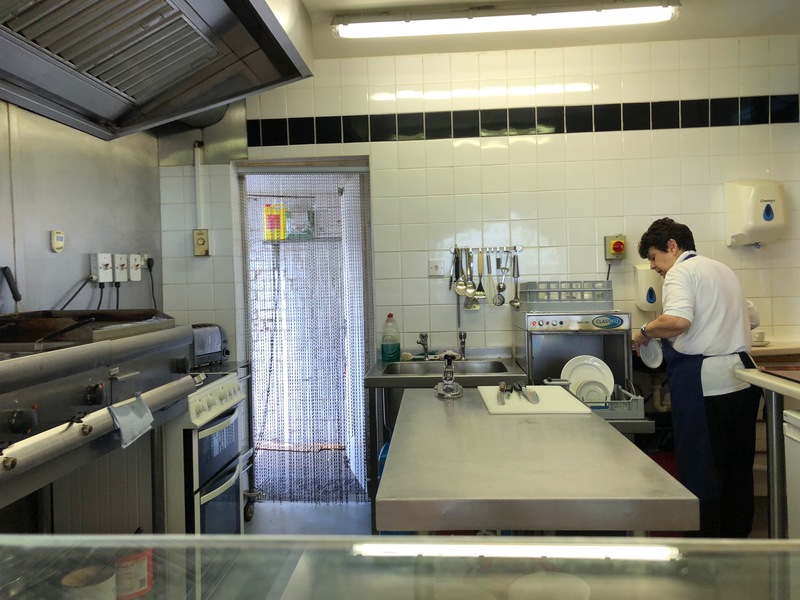 It was quite literally spotless, with a single person working the grills, (she was also washing up at one point!). 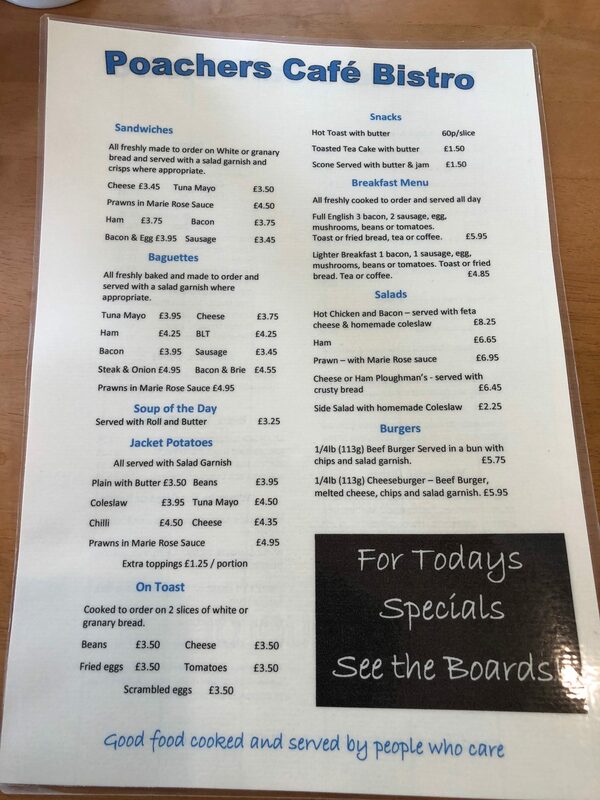 You also have to love a place that has 3 bacon on the menu as part of the Full English. 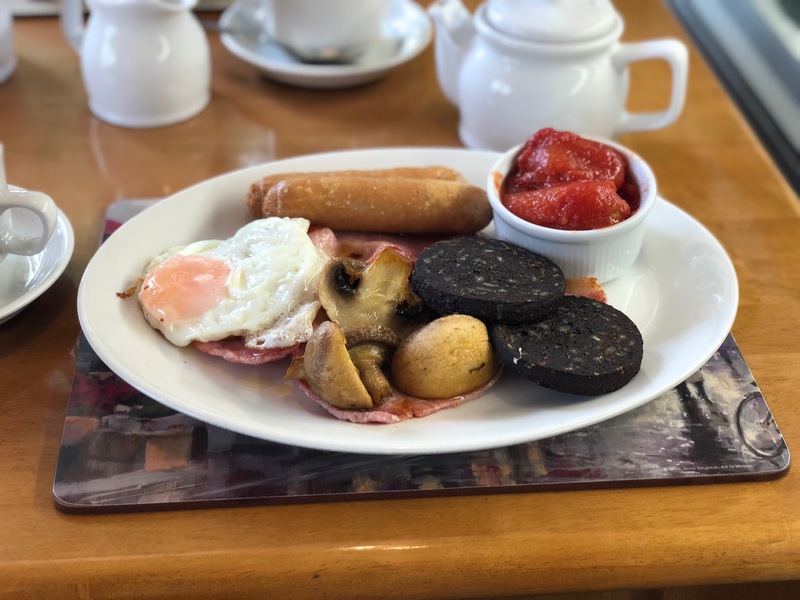 3 bacon, 2 sausage, fried egg, tomatoes, beans, (I declined the beans), mushrooms, toast or fried bread and a mug of tea/coffee for £5.95. You certainly get value for money here. 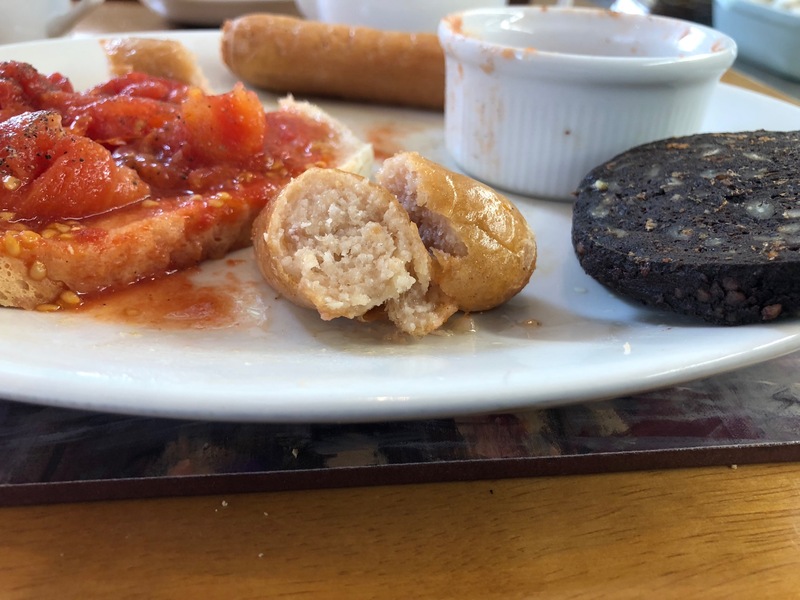 They also had Black Pudding, which I treated myself to as well. I ordered an extra slice of toast – I think it needed it. Service was efficient, food was delivered promptly. The sausages were pretty cheap ones, quite spongey, but still tasty. 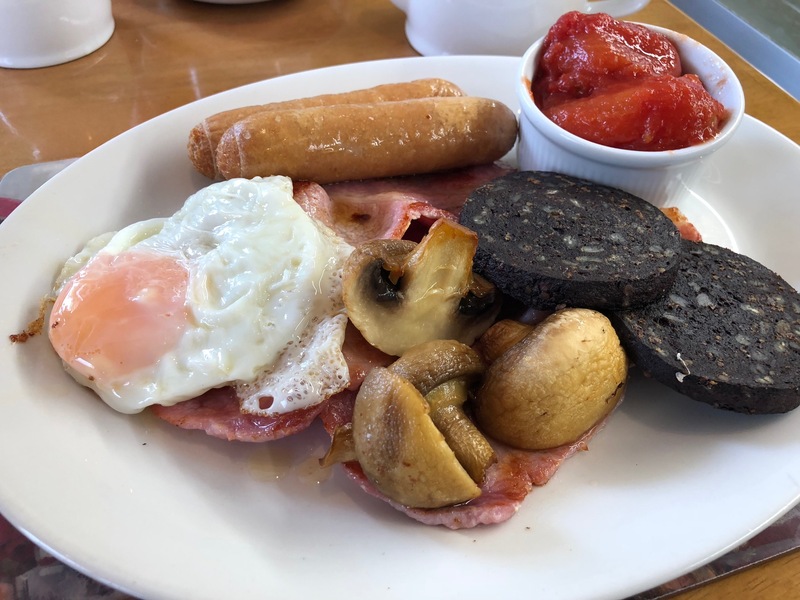 I think they suited a greasy spoon, rather than this little cafe/bistro, but again, I have to go back to the price point – £5.95 -you are going to get cheap sausages. Personally, I would rather have paid a pound or so more and got local butchers sausages, but thats just my opinion. I enjoyed my breakfast and look forward to going back to enjoy another. Would I recommend it – of course!